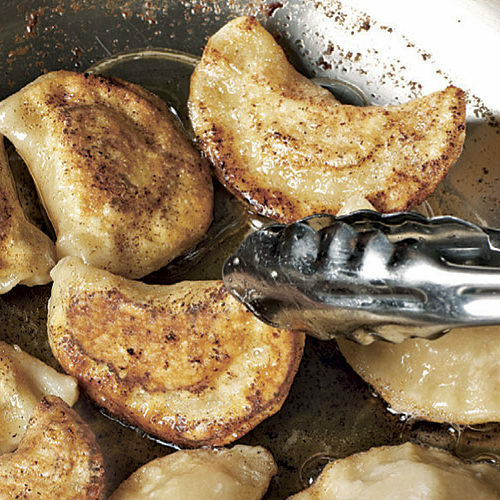 A Polish cookbook author shares her grandmother’s recipe for tender potato-and-cheese-filled dumplings. I was born in Poland and raised for the first years of my life in a remote village in the foothills of the Karkonosze Mountains by my grandmother Józefa, a professional chef and collector of herbal remedies. 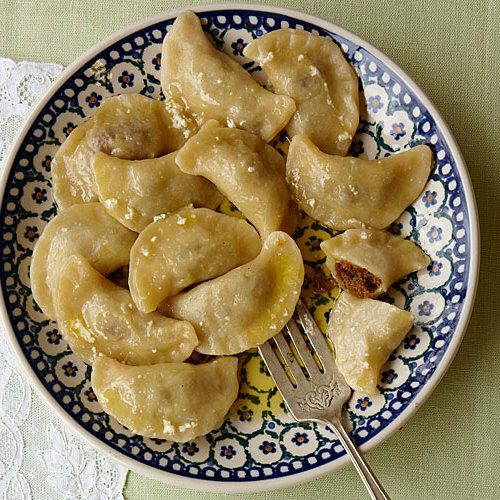 At least twice a week, I watched her make pierogi, the ravioli-like pasta pockets that were, and still are, my favorite meal. First, the kitchen table had to be cleared of my toys and drawings to make space for the large wooden board that she used to make the dough. 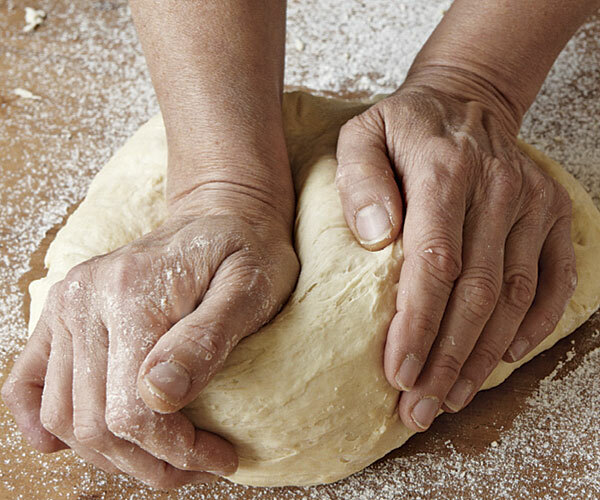 I loved watching her small hands as they moved quickly through a mountain of silky flour and glistening butter, mixing and kneading the two with water into a soft, supple ball. 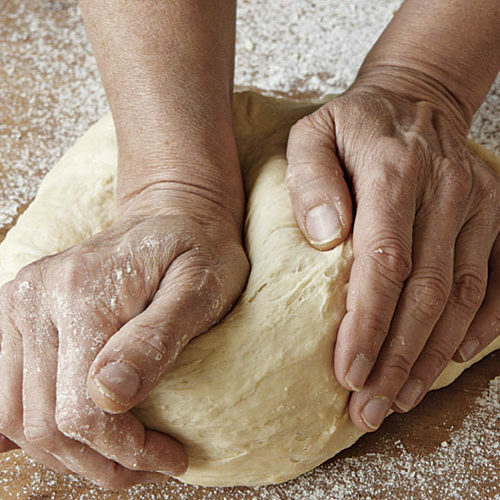 She’d triumphantly drop the dough onto the wooden board with a plop, cut it into pieces, and roll them into not-too-thick-or-too-thin sheets with her heavy wooden rolling pin. 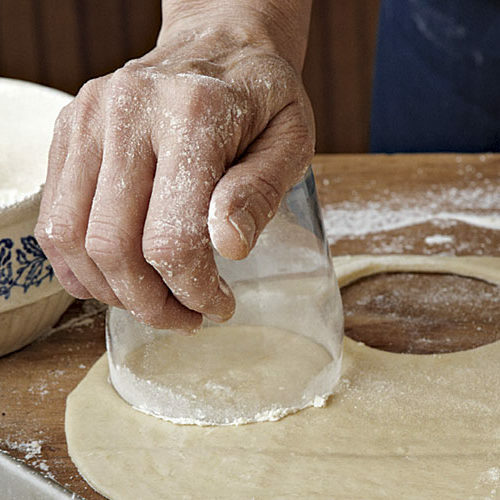 Next, my grandmother would use a teacup to cut out circles from the dough. (Wanting to help, I was allowed to play with the dough scraps.) 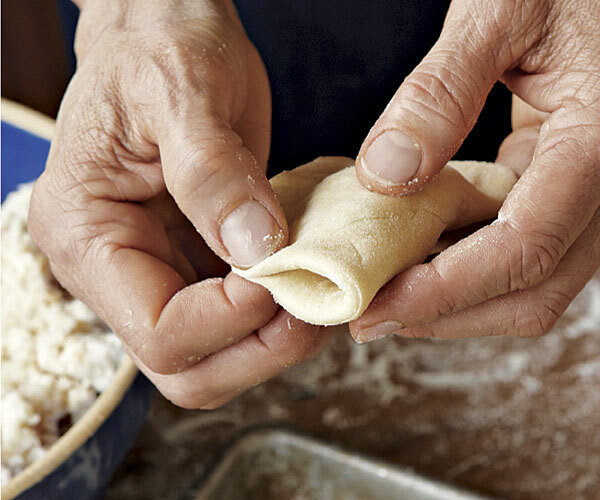 She’d place a mound of flavorful filling on each circle, fold the dough over the filling, and pinch the edges firmly together. 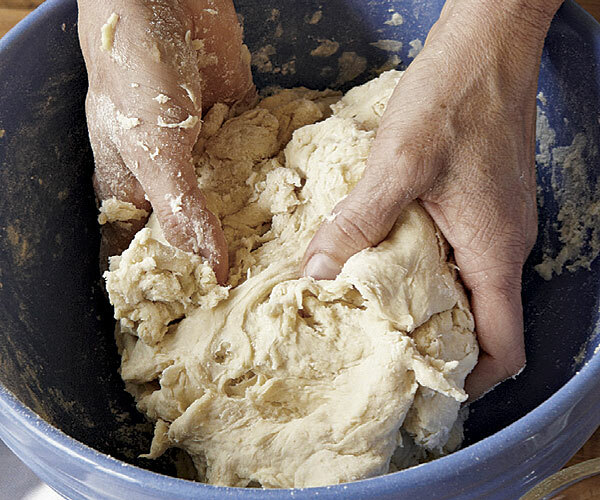 Mix just enough warm water into the dough to create a cohesive mass. The dough will be shaggy at this point, but it should hold together in a ball. 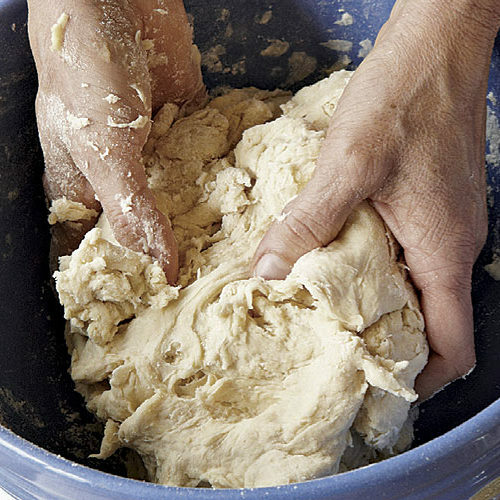 Use a light and gentle hand when kneading the dough, working it just until soft and supple. It should feel like Play-Doh but won’t be entirely smooth. 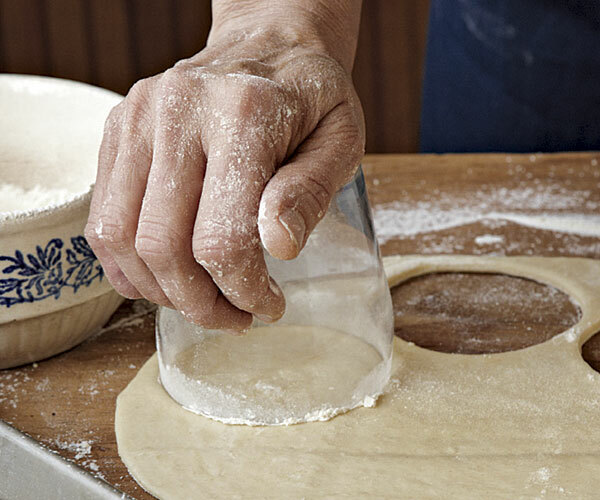 The rolled dough will be smooth but slightly tacky where you’ve cut it, so flour your work surface and cutter to prevent sticking. 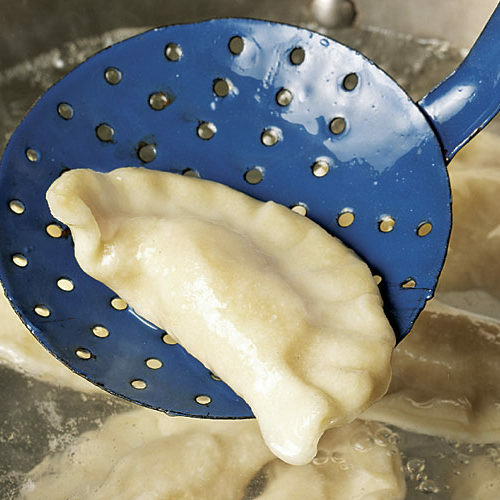 To keep the pierogi from leaking when they’re cooked, tightly pinch the edges of the dough together, making sure that no filling has come between the two dough edges. 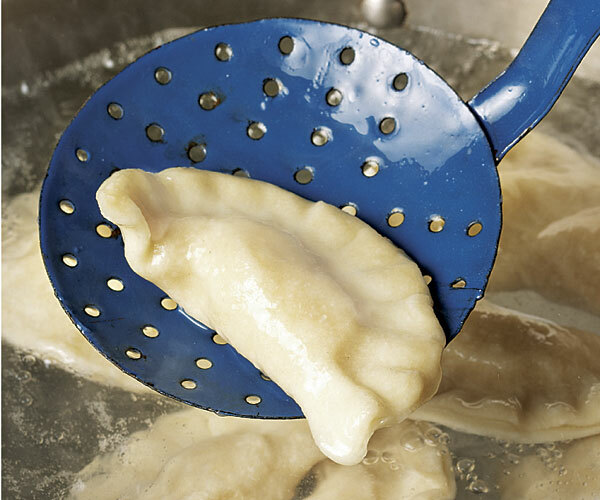 When the pierogi float to the top, they’re done. 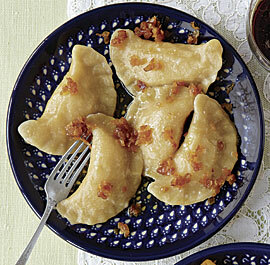 Transfer them with a slotted spoon or skimmer to a warm serving dish. There’s no need to blot them dry. 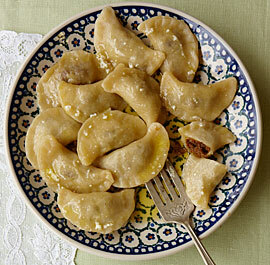 Pierogi are great boiled, but you can also fry the boiled pierogi in butter until crisp and golden-brown. The textural contrast with the fluffy filling is delicious. The filling ingredients varied with the season—in summer, she made sweet pierogi with the wild strawberries and blueberries we gathered during our long walks in the mountains; she’d serve these special treats with whipped cream or vanilla custard for dessert. During the fall, she’d mince beef and vegetables together in an attempt to encourage me to eat red meat—I was still too young to tackle a steak with a knife and fork. At Christmastime, the summer mushrooms I’d picked, now dried, were mixed with pickled cabbage to fill the pierogi for our holiday table. 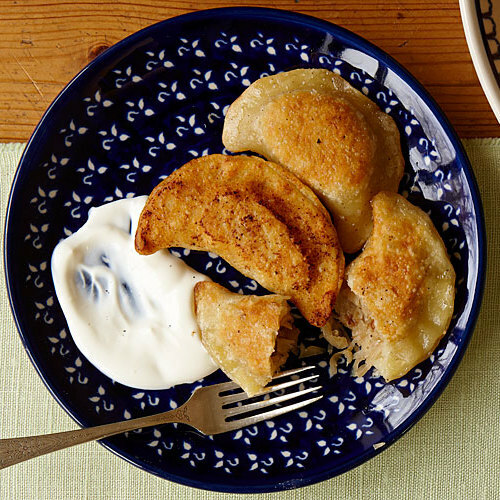 But my favorite version was the hearty Ruskie (Russian) filling of farmer cheese, mashed potato, and fried onion that, just for me, she made year-round. 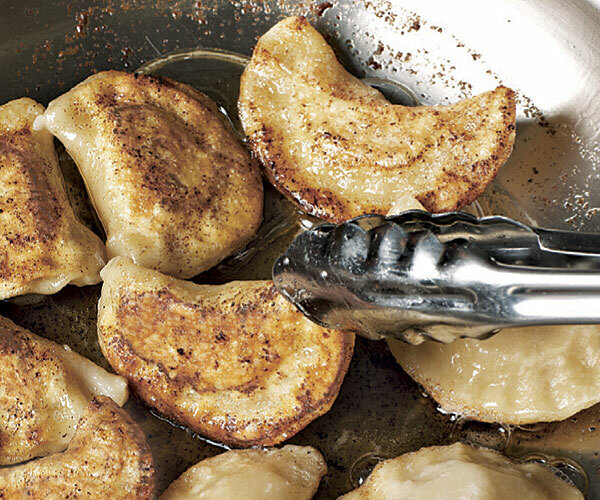 To cook them, my grandmother would throw a dozen pierogi at a time into a big pot of boiling salted water, fishing them out as they rose to the surface. The first batch, garnished with fried onion and drizzled with melted butter, was always for me, the chef’s proud assistant and greatest admirer. 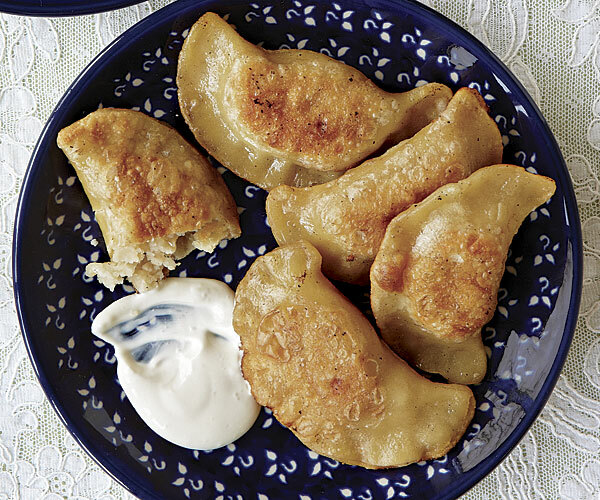 This image of my grandmother cooking has never left my memory, and now, when I make her pierogi in my own stainless-steel kitchen in Sydney, I’m instantly taken back to her warm, cozy kitchen in Poland. 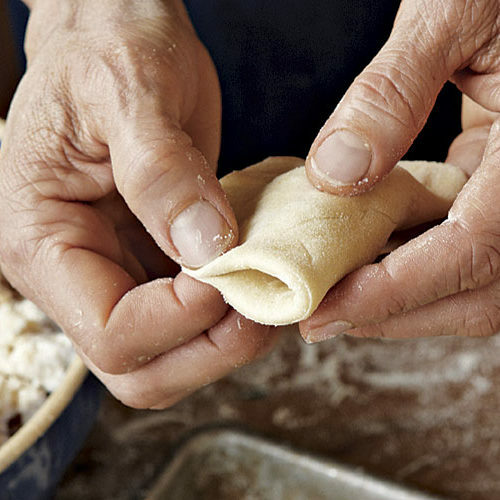 Join me there by making my grandmother’s recipe. I hope they make you as happy as they’ve always made me.